Announcing additional ACCELERATE speakers from Twitch, Google, and Nordstrom! Home &gg; Blog &gg; Conferences/Community &gg; Announcing additional ACCELERATE speakers from Twitch, Google, and Nordstrom! Today we are excited to announce some additional speakers at our 2019 ACCELERATE conference in Los Gatos, California on January 24th and 25th. In addition to Ben Gaines from Adobe and Krista Seiden from Google, we are delighted to be joined by June Dershewitz from Twitch, Lizzie Allen Klein from Google, and David White from Nordstrom. June is a long-time friend of the firm and will be sharing her insights into the emerging relationships between Data Analysts, Data Scientists, and Data Engineers, Lizzie is an analytics rock-star at Google and will be talking about how any data worker can elevate their own skills in an effort to get the most from their career, and David will be talking about how Nordstrom is essentially “rolling their own” digital analytics and building data collection and distribution based on open source, cloud-based technology. June Dershewitz is a Director of Analytics at Twitch, the world’s leading video platform and community for gamers (a subsidiary of Amazon). 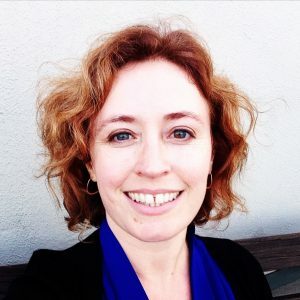 As an analytics practitioner she builds and leads teams that focus on marketing analytics, product analytics, business intelligence, and data governance. As a long-standing advocate of the analytics community, she was the co-founder of Web Analytics Wednesdays (along with Eric Peterson! ); she’s also a Director Emeritus of the Digital Analytics Association and a current Advisory Board Member at Golden Gate University. 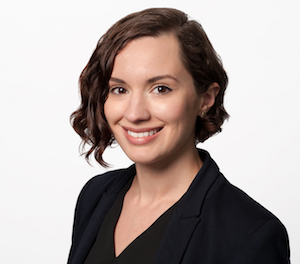 Lizzie Allen Klein is a consumer insights analyst at Google, where she focuses on support analytics for Google consumer apps. Prior to this role, she ran experimentation and analytics on the Google Cloud Platform website. Aside from playing with her dog in the mountains of Colorado, she enjoys learning new data exploration techniques, using those techniques to better understand users and encouraging data-informed decision-making by sharing user insights. David White is a Cloud Security Engineer at Nordstrom. He is passionate about event-driven architectures, clickstream analytics and keeping data secure. He has experience working on building analytics pipelines, both in the corporate space, as well as open source communities. He lives in Seattle, WA with his girlfriend and dog. 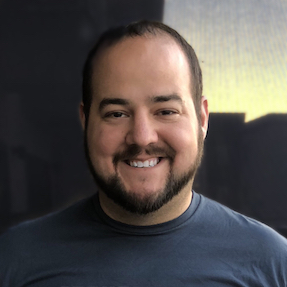 Ben Gaines is a Group Product Manager at Adobe, where he is responsible for guiding aspects of the Adobe Analytics product strategy and roadmap related to product integration and Analysis Workspace. In this role, he and his team work closely with Adobe customers to understand their needs and manage the planning and design of new analysis capabilities in the product. He lives near Salt Lake City, Utah, with his wife and four children. Krista Seiden is a Product Manager for Google Analytics and the Analytics Advocate for Google, advocating for all things data, web, mobile, optimization and more. Keynote speaker, practitioner, writer on Analytics and Optimization, and passionate supporter of #WomenInAnalytics. You can follow her blog at www.kristaseiden.com and on twitter @kristaseiden.